I had the great privilege of traveling to Paris, France the end of March 2016 and attended all the normal Paris attractions. One, however stood out, as it was Tudor related. Mary Queen of Scots and her first husband, Francis II of France married here, Notre Dame De Paris in 1558. Notre Dame, in itself, is an iconic piece of history but being in the same place that Mary Queen of Scots married her first husband was pretty amazing and an experience that I will never forget. Below are some pictures taken. After the pictures are a brief history about Mary Queen of Scots, specifically of her marriage to Francis II at Notre Dame. In 1555, Mary sent back letters to her mother in Scotland to be used for administrative purposes and it is from these that we first see her royal signature ‘MARIE R’. In 1558, she married the Dauphin (Francis II) in an incredible celebration in Notre-Dame Cathedral in Paris. Exceptionally tall for a woman in the 16th century, Mary was every inch the regal Queen; she had an oval face, shapely chin, and small mouth which were set off by her golden-red hair, her large forehead, and hazel eyes. Many considered Mary to be the most beautiful princess in Europe, much as they had thought of her relative, Henry VIII’s sister, Mary, who had also come to France as queen for a short while. Mary was not always in the best of health but, unlike her husband, there were no immediate concerns for her life (this information was from the below site). Trailer of "I am Henry"
I had the great privilege of having a Q & A with Jan Hendrik Verstraten. Please enjoy the Q & A. Thank you Jan Hendrik Verstraten for taking the time to do the Q & A and we wish you all the best. Q: Please let us know what we should expect from the short film, "I am Henry”. A: I Am Henry is essentially a two-hander between King Henry VIII and the ghost of his second wife Anne Boleyn, though Catherine, his first wife, also appears as do his dead children. The King is dead, and the monk who sits with him appears to be a manifestation of The Grim Reaper, St Peter or perhaps God himself. There is a yearning quality to the story as Henry finds himself in purgatory (limbo) and is confronted with his misdeeds, especially his betrayal of Anne. Though Henry insists he regrets nothing, we’re left uncertain this is actually the case. Q: What inspired your team to do a short film about Henry VIII? A: The story of Henry VIII and Anne Boleyn is without doubt one of the most fascinating love stories in English history. It’s full of drama, intrigue and suspense. When I set out to write the screenplay however, it wasn’t my plan for it to be about this famous Tudor monarch. All I envisioned was a middle-aged man in an empty white room. While I sat down behind the computer, and felt this man’s presence. I started to realise it was King Henry VIII, that he just had died, and that he had not fully grasped yet what that meant. Q: Who is the actor who portrays Henry VIII and why did you choose him as your Henry VIII? A: The quality of the actors we saw during the castings was incredible. We found Fleur Keith, an amazing Anne from among 150 applicants. Catherine and Henry the Duke were easier roles to cast. Maria de Lima brought an emotional intimacy to the role that was mesmerizing. The only one that was missing was the King himself. After much effort, I searched IMDB and other sites and found a trailer starring Sebastian Street. He came across as a very versatile and strong actor to me, and he had just finished his Scorsese film ‘Tomorrow.’ I immediately thought he would make a great Henry. I sent him the script right away and didn’t expect to hear back from him but to my surprise, he called me the very next morning. He had just returned from Cannes, where he was promoting his new feature. He told me he loved the script and was interested in being in the short film. He asked, “When were we going to shoot it?" Q: Tell us about the director of this film. What does he/she hope the audience will gain from watching "I am Henry". How will this film standout from other Henry VIII films? A: The film is told after King Henry VIII’s death. As a writer I could see the dramatic benefit of this approach. It’s fascinating to be able to hear Anne tell us what she felt while she was in the tower, and how it was to walk towards the scaffolding and her tragic death. Q: When do you anticipate "I am Henry" to be released? Q: How would we be able to watch "I am Henry" when released? A: The most likely scenario for the audience to see the film is online. Q: Have you introduced the short film in film festivals? What has been the general response about the film? A: We have submitted the film to various festivals and hope to be able to inform the audience in the coming months that we have been accepted into one of them. So far the response to the film has been excellent, but I have to admit that we have shown it only to a select few. The response to the trailer has been excellent. The film itself has been watched to a select few only so far. We’ve asked a historian author to review the film this week, and she has agreed, which is great. I hope to post her feedback online very soon. Q: How can we view the trailer? A: The trailer is as well on Vimeo as on Youtube. Q: Is there a page to follow "I am Henry”? 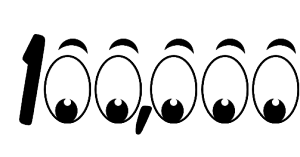 Reached over 100,000 Page-Views within the Month of August 2014!!! This webpage has just recently reached over 100,000 Page-Views in the Month of August 2014. The page first made its appearance in October 2011. 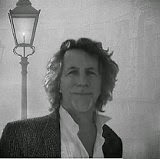 This page has high viewership in the United States & the United Kingdom. In addition, those in the Ukraine, China, Germany, Israel, Russia, France, Canada, & Australia have viewed this page. It has been an amazing experience for me & I want to thank all of you for viewing this page. Q & A W/ Robert Parry, Author of "Elizabeth: The Virgin Queen & The Men Who Loved Her"
This week I finished Robert Parry's "Elizabeth: The Virgin Queen & The Men Who Loved Her". I wrote a short review in my last post and with that, I highly recommend this book. Robert & I thought it would be a great for a Q & A. Below are questions that I asked Robert. Much appreciation for his time with this Q&A. In addition, Robert is so graciosully proving a free book to one of my Facebook followers. Question: What is your most recent book, "Elizabeth: The Virgin Queen & The Men Who Loved Her" about? Answer: It is a memoir concerning a gentleman who attended an unusual series of lectures on Queen Elizabeth I of England on a country retreat at some unspecified time in the recent past. He describes the lectures, along with the location in which they took place - a series of biographical sketches on the men in Elizabeth’s life interspersed with fictional vignettes. Question: What inspired you to write "Elizabeth: The Virgin Queen & The Men Who Loved Her"? Answer: I have always had an abiding interest in the Tudor and Elizabethan era, and one of my all time favourite heroines is Elizabeth herself. Question: What is your opinion of Elizabeth I? Answer: I believe she was one of the most unusual, interesting and talented women in history. Simple as that. For a single woman in a man’s world to succeed in governing a country for nigh-on 45 years would be considered a impressive feat in any age, including our own, but in the 16th Century it was nothing short of miraculous. Question: This is mentioned in the book but do you believe Elizabeth I was a Virgin? Answer: My feelings on this hotly debated topic have wavered over the years. When I wrote my first novel ‘Virgin and the Crab’ way back in the nineties (published 2009) I tended towards the doubtful and dubious side of things. These days, however, it seems more and more likely to me that she was indeed a virgin queen as we would define the term today. I’d like to think that the reader of this latest book will come away feeling that this is, indeed, perfectly plausible. Question: Which part of the book, "Elizabeth: The Virgin Queen & The Men Who Loved Her", did you most enjoy writing? Answer: Oh, probably the fictional vignettes. I am not an historian, and so the biographical elements are really nothing out of the ordinary. It is the fictional episodes that make it come alive and give it the sparkle. It is that vitality and energy of the Elizabethan age that, above all, I wanted to convey. Question: What is it about the Tudor era that fascinates you? Answer: The simplicity of things – that things were governed by expediency and common sense, combined with the application of faith in all areas of life. There was a great spirit of adventure, and the English language climbed towards its peak of excellence culminating in the works of Shakespeare. The fashions were pretty cool, as well. Question: How did you narrow down the men who loved Elizabeth I? Answer: That was basically a matter of drawing on the history books and what they tell us. We know pretty well who she associated with, and especially those with whom she came in contact with on an almost daily basis, her closest companions and devotees. They were the important ones. 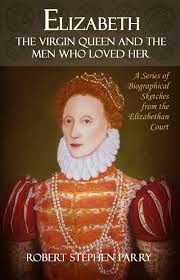 Question: How can someone purchase "Elizabeth: The Virgin Queen & The Men Who Loved Her"? Question: What other novels have you written? Question: Is there another book in the works? Answer: Yes indeed. I hope to be able to release my next full-length novel early in 2015. The title is ‘The Hours Before.’ and it is set in the world of the European Belle Époque, just at the close of the Victorian age and the beginning of the Edwardian. Anyone who is interested can keep up with developments on my Facebook page. https://www.facebook.com/robert.stephen.parry See you there maybe! THANK YOU FOR FOLLOWING THIS SITE!OVER 160,000 PAGE-VIEWS SINCE THE OPENING OF THIS SITE IN 10/2011! I started this site the end of October 2011 and it currently has over 160,000 page-views nationwide. In addition, my Tudor Facebook page has over 10,000 followers. Twitter currently has over 650 ollowers. To become a follower on Facebook or Twitter, scroll down further and follow the instructions. If you want to become a follower of this site, simply scroll all the way down and follow the instructions. IT HAS BEEN A FASCINATING EXPERIENCE & I THANK YOU ALL FOR MAKING THIS EXPERIENCE SO WONDERFUL! 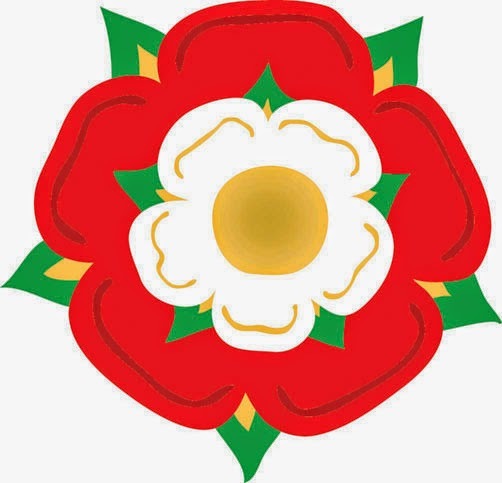 Search this Blog, view the Blog Archives, follow by email, popular posts, view our Tudor Facebook page that allows you to like us on FB, twitter follower information, & how to become a follower of this site. Look forward for you joining this site and reading your comments! What would Henry VIII say to Elizabeth I if alive in person today? Elizabeth III w/ Cate Blanchett is in the works! Q&A W/ Claire Ridgway, Author of "The Fall of Anne Boleyn: A Countdown"